In the surge of competition to live up to the changing trend, Bajaj has launched its latest bike, Pulsar 135 LS (Light Sport). The bike is expected to compete with the Honda's CBF Stunner so that the Bajaj Auto can get a chunk of share in the market. The headlamp of the bike is carried from the XCD Sprint Concept which was shown at the Auto Expo, 2008 in New Delhi. It is a trimmed down version of the Pulsar range with the super cool funky looks and design. It features a well padded split seat which is hardly ever seen among its peers. It wears an aggressive look accentuated by the well chiselled fuel tank and bikini fairing. There is no doubt that the New Bajaj Pulsar 135 LS would woo the bike lovers by its bewitching look and satisfying performance. Pulsar 135 LS is based on the 135cc DTS-i engine and Bajaj claims it is the world's first DTS-i engine featuring 4 valves. The engine churns out a maximum power of 13.5 PS at 9000rpm while the maximum torque reaches 11.4 Nm at 7500rpm. The DTS-i technology is to enhance power delivery and mileage with low emissions. It is one of the most efficient engines and performs better than the regular 2-valve engine. The four-valve engine provides greater intake and exhaust area giving more power almost equivalent to the 2 valve 150cc engine. The all new Pulsar 135 LS (Light Sport) is the first of its kind in the country coming along with a host of modern features so as to pose a tough competition glorified by its addictive look and amazing performance. It sports an aggressive stance further declared by the sporty split-seat, aluminium clip-on handlebars and oodles of others peerless features. The black alloy wheels add a dash of attraction to the overall look of the bike. The air scoops get trendy with the ingeniously designed headlamp and the body work. The LED tail lamp and the turn indicators as seen in XCD 135 gels with the shapely body work of the little machine. The sporty grab rail, trendy exhaust and well placed mud guard further strenghthen its unsurpassed design and looks. 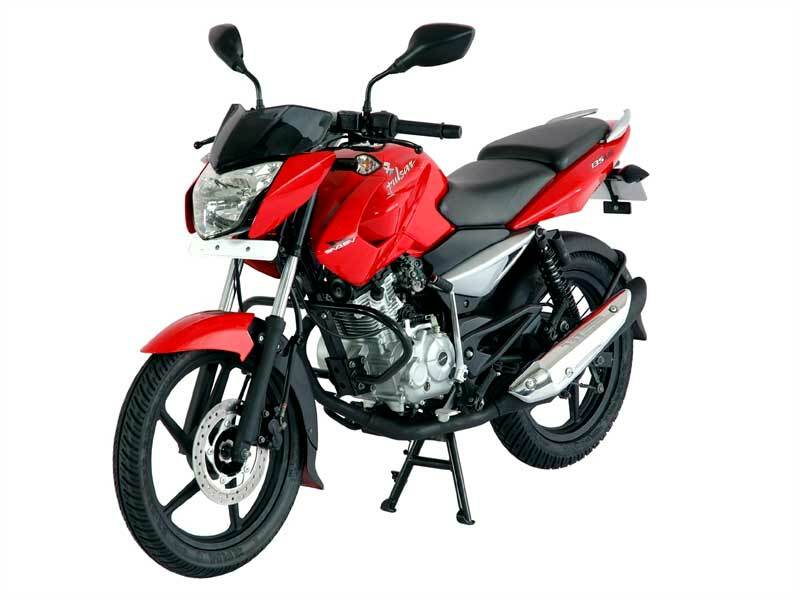 The Bajaj Pulsar 135 LS is sure to earn encomiums like the older siblings with much demand and popularity. The well designed New Pulsar 135 does not prove tacky when it comes to the ride and handling part. The sleek rear panels leave room for the grab rail. The pillion rider can sit comfortably experiencing the high comfort quality. The footrests are placed slightly back and this results in a sporty riding position in combination with the two-piece handle-bars. The precise power-weight ratio makes the bike agile and it easily manoeuvre the busy traffic road. 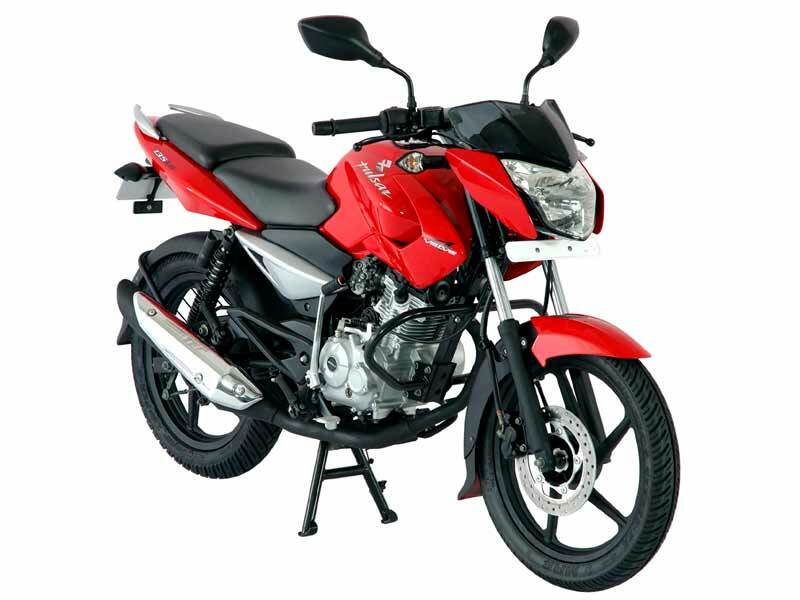 The gas-charged Nitrox shock absorbers at the rear help the bike combat the bumps and lurches on the uneven surface. 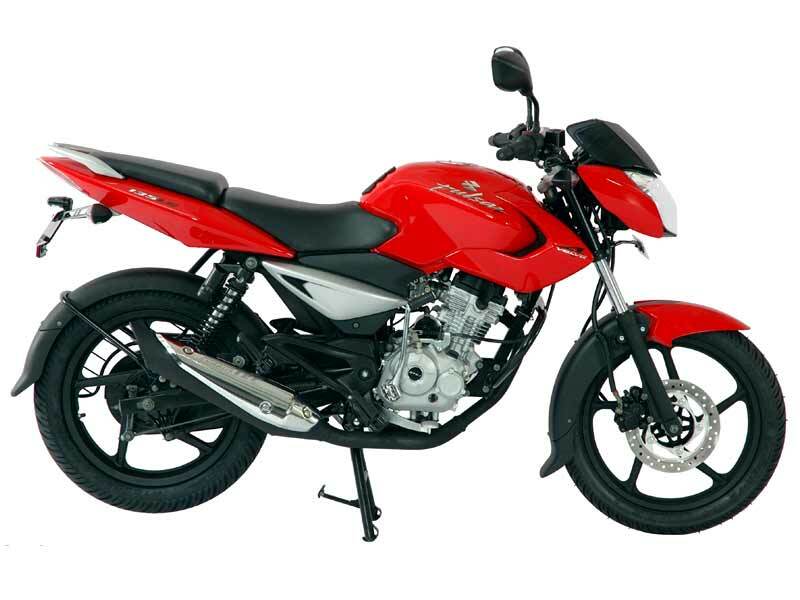 Like other Pulsar bikes, it is designed to get the maximum safety level. The DC lighting and the 240mm disc brake come as standard for the safety purpose. The bike delivers ample of pulling power derived from its 2-inlet and 2-outlet valves. The Bajaj Pulsar 135cc will set a new trend in the country infusing the thrill of biking and accelerating the growth of sports segment bike in the country. Pulsar 135 LS, a single cylinder bike laced with creatively designed sporty looks from Bajaj family, delivers an average road mileage of 52-55 kmpl. The New Pulsar 135 LS is available in two color schemes which are of Wine Red and Midnight Black. The bike is priced at Rs. 51,000 at the ex-showroom which is quite affordable to the young bike lovers.